The Cannes Film Festival, which celebrates its 70th anniversary this year, has historically been about as fond of change as day-old baguettes. As much as its screens light up with the world's most daring, adventurous cinema, the French Riviera festival protects its traditions more closely than its dapper hosts guard the famous Cannes red carpet. But this year, even as Cannes prepares for a lavish birthday celebration, the Croisette is quaking with transformation. This year's festival, which opens Wednesday with French director Arnaud Desplechin's "Ismael's Ghosts," contains films from Netflix (Bong Joon-ho's "Okja" and Noah Baumbach's "The Meyerowitz Stories"), movies from Amazon (including Todd Haynes' "Wonderstruck"), two high-profile television series (David Lynch's "Twin Peaks" revival and Jane Champion's "Top of the Lake"), and virtual-reality exhibits, including a multi-media installation by Alejandro Inarritu. 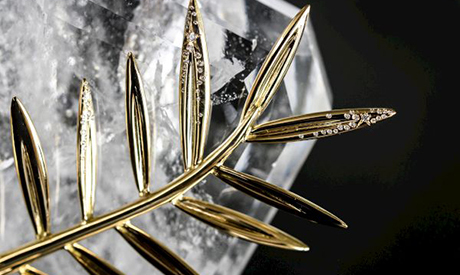 But trying to keep pace with today's fast-changing media landscape has come with plenty of challenges for a time-honored institution like Cannes. While unveiling this year's lineup, Cannes director Thierry Fremaux acknowledged the festival's internal hand-wringing over such issues. The festival, he concluded, is "a lab." Yet some of the festival's experiments have already proven highly combustible. After an outcry from French theaters, organizers announced last week that beginning next year, films without the intentions of a theatrical release in France won't be eligible for Cannes' prestigious Palme d'Or competition — the festival's main slate of about 20 films. The move effectively bars Netflix releases from Europe's answer to an Oscar race. Netflix chief executive Reed Hastings bitterly called it "the establishment closing ranks against us." It's not that such clashes aren't happening throughout the movie industry. But like everything else at Cannes, they're inflated at the festival, arguably the most passionate standard-bearer of cinema. Sofia Coppola has been coming to Cannes since she was a child, accompanying her father when he debuted "Apocalypse Now." This year, she'll premiere one of the most anticipated films there, "The Beguiled," her fourth at Cannes and second in competition. "It's still a place that's celebrating and loves international cinema, and the idea of cinema," said Coppola. "I feel like that's at the heart of it." "I guess there's three instead of two this year," said Coppola. "I think they have more there than we do here. There's always been more of a tradition of female filmmakers in France and internationally." Coppola's film is its own kind of correction. It's a remake of Don Siegel's 1971 Civil War drama about a Union soldier (Clint Eastwood, who will also be at Cannes to teach a masterclass) hiding out in a Southern girls school. Coppola wanted to flip the story to a female point of view. Like many other filmmakers, Coppola was racing last week to put the final touches on her film before the festival. But Inarritu was arriving in Cannes days early to finish building the space for his "CARNE y ARENA (Virtually Present, Physically Invisible)," a three-part installation about immigrants and refugees. "I'm very curious to see how people from cinema will react to this," said Inarritu. "It's an individual experience. It's one-by-one and it's six minutes-and-a-half. This is not a community experience. That will give the festival something extraordinary to experience and see what people think about it." Inarritu said he always envisioned the piece in a museum (it will launch later in Milan's Fondazione Prada). But he said after he showed it to Fremaux, the Cannes director was "very insistent" that he bring it to the festival. "I thought it was an interesting proposition," said Inarritu. "Let's see what happens." While virtual reality is now widespread on the festival circuit, Cannes has been more reluctant to embrace it. It has, though, sometimes showcased TV works, notably Steven Soderbergh's HBO Liberace drama "Behind the Candelabra" and Olivier Assayas' miniseries "Carlos." The dust-up with Netflix has put a brighter spotlight on "Okja" and "The Meyerowitz Stories." "It's an interesting issue and it's going to continue," said Joon-ho, "Okja's" director. "While that was all happening, I was focused on post production in Los Angeles. That's really where my focus is. These other bigger industry-wide issues will naturally get resolved with time." "Okja," starring Tilda Swinton and Jake Gyllenhaal, is the South Korean director's follow-up to "Snowpiercer." It's a fantasy about the gulf between humans and animals, individuals and corporations. "After all this talk has come and gone," said Joon-ho, "I hope people just focus on the film itself and the story and the images."